Israel is in the news for the recently announced discovery of the Manot 1 pre-historic modern human partial skull, carefully dated to 55,000 years ago. The skull was found in a limestone cave in the Galilee region of northern Israel in 2008 and carefully researched for the past 6 years by Professor Israel Hershkovitz and a team of anthropologists from Tel Aviv University. The find was published in the respected journal Nature and reported widely across the world. 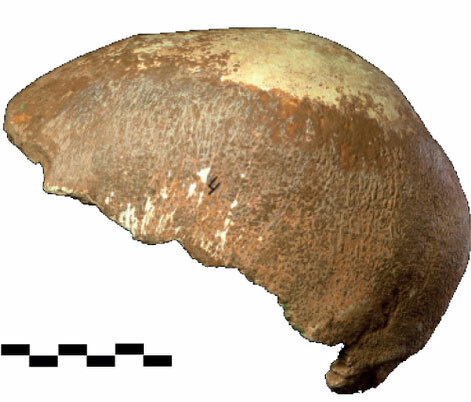 The skull has features of modern humans but also some Neanderthal features, again focusing attention on the question: did ancient Homo sapiens interbreed with Neanderthals? 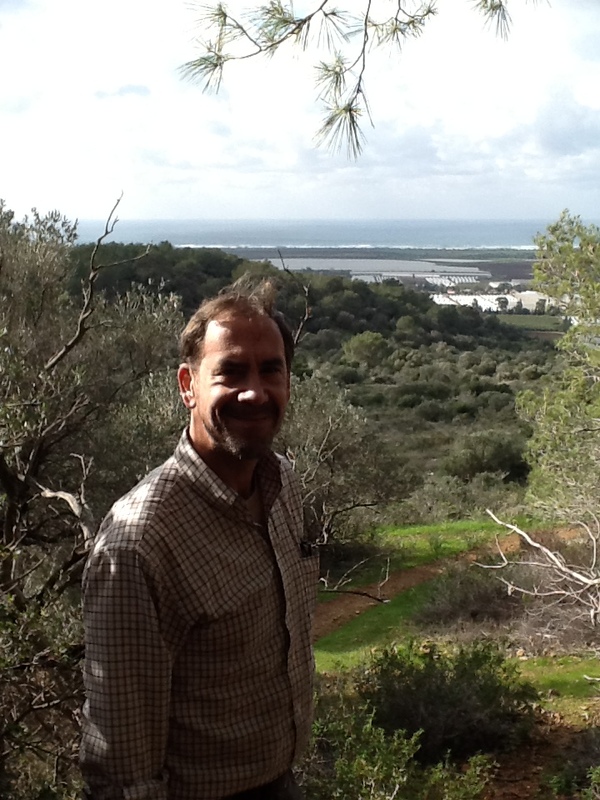 About one month ago I was fortunate to have an opportunity (thanks, Mom and Dad) to visit the Carmel region of Israel and hike a bit of the Israel National Trail, a hiking trail which extends the length of the country, 1000 km, from north to south. 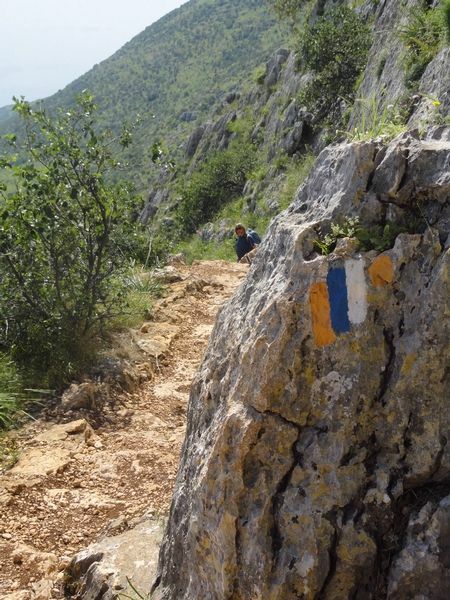 The section of trail I visited is literally a stone’s throw from another important anthropology site, the location of Tabun, Skhul and El-Wad caves, also limestone massifs, with a commanding view of the Mediterranean Sea and Israeli coastline just 5-6 miles due west. These caves were discovered and excavated beginning in the late 1920s by British paleontologist Dorothy Garrod,a pioneer and rare female in her field. The site continued to be excavated into the 1960s and was recently named a UNESCO World Heritage Site. This collection of caves demonstrates more than 200,000 years of human existence including Neanderthal and early Homo sapien remains, living in the same location, even if not at the same time. Looking into Tabun cave. 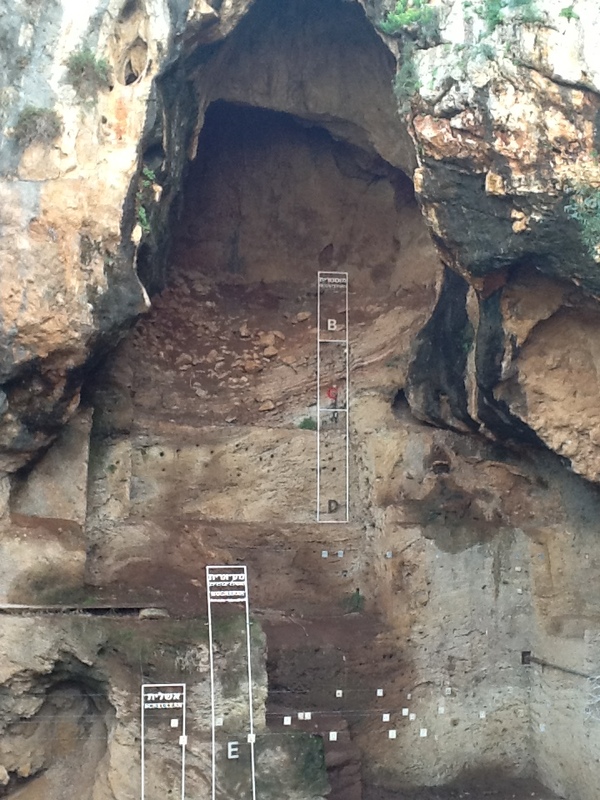 Neandratal remains were found in the middle layers and ancient hominid remains above and below. 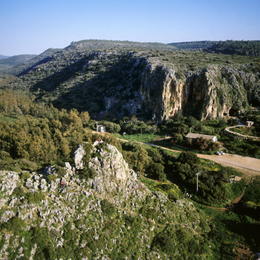 Moreover, one of the adjacent caves presents a clear example of Natufian culture, humans who began to settle in one location and live a more agrarian lifestyle, no longer living a nomadic ‘hunter-gatherer’ existence. Just outside this cave system were multiple buried human skeletal remains, more than 10,000 years old, decorated with various ornaments. These may represent one of the earliest burial sites in the world. And now, just dozens of miles away, we now have evidence of human remains which indeed represent another example of ancient humans in transition. Just exactly what that transition was from and where it was going to remains to be proven more definitively. It is rare these days to see “Israel” in a newspaper headline without some human tragedy or geopolitical tragedy following close behind. For the story from Manot Cave, at least, the only controversy would be of a scientific nature. And on that point, remarkably, most scientists interviewed have praised the Tel Aviv University researchers for their careful, deliberate study, analysis and conclusions. While most tourists who travel to Israel do so to visit and bask in the holy religious sites of the past couple of thousand years, be they Jewish or Christian or Muslim, very few people travel to Israel to see where ancient Neanderthals once lived. I myself have traveled to Israel on multiple occasions, and only recently even knew such a site existed in Israel (thank you Professor John Hawks and for your Coursera course on Human Evolution). Perhaps after visiting all the holy sites, tourists and locals alike should visit these most ancient sites of human habitation, to underscore our common heritage and to know that what joins us all into the family of ‘Man’ is so much more ancient than what divides us.